I was active in the GamePark scene from 2005 to 2010. 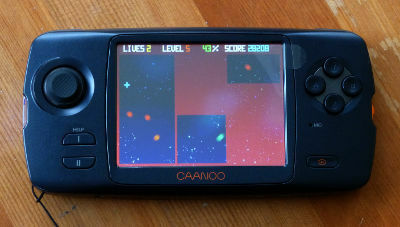 Making games for these Linux-based systems is how I broke into software dev, so I still have a soft spot for them. Most of my work in progress still cross-compiles for the GP2X and later, so look out for new stuff in 2018 after a long enough break! 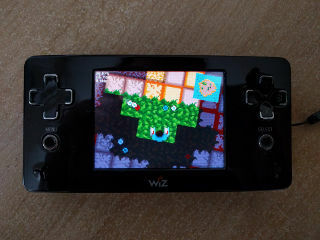 Sqdef Tower Defense is my most popular game, it won 1st place at the GBAX 2007 Coding Competition and comes built-in on every GP2X Wiz. 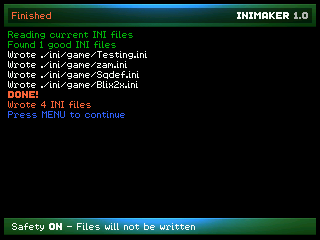 INImaker is a GP2X Wiz application that creates INI files for programs that don’t have shortcuts in the Wiz Games menu. 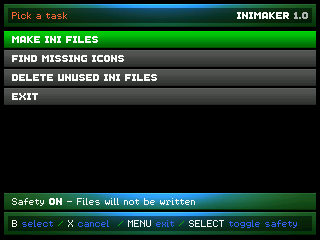 It can also find and delete INI files that link to deleted programs, and find missing icons. 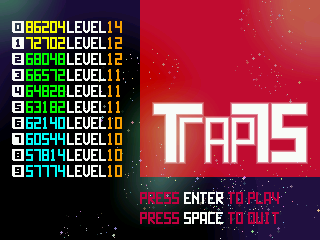 Trap75 is a game like Jezzball, where you need to cover at least 75% of each level’s space without getting your lines hit by the balls. 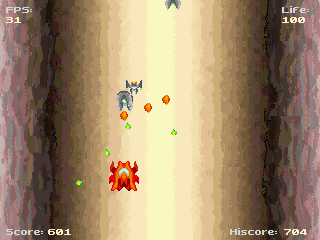 Hiscore table and smooth graphics. 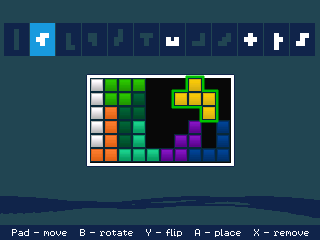 Pentominos is a puzzle game where the goal is to tile the entire board with the 12 pentominos. 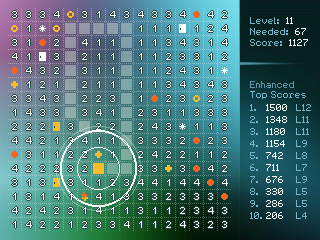 The game keeps track of your solutions on all four grids. 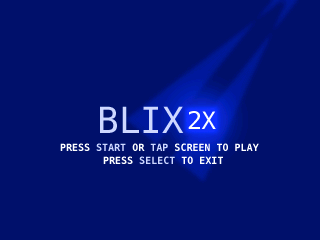 Blix2x is a remake of Blix by Nick Kouvaris. 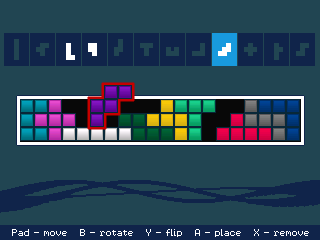 The goal is to form columns of same-coloured tiles by scrolling the three rows. 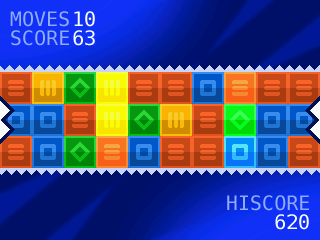 Each scroll costs 2 moves, and each cleared column wins you 1 move. The game ends when you run out of moves. 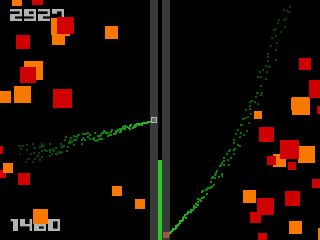 Sqdef is a tower defense game. 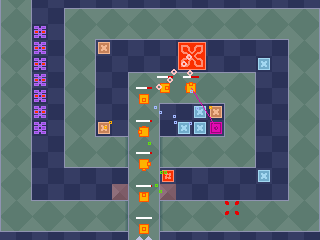 The goal is to prevent enemies from getting from one side of the map to the other, by placing towers along their way. Visit the game's page for more. 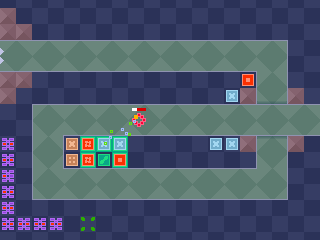 Squaresliding is a strategic puzzle game where you must pass over a certain number of squares on the board in order to complete a level. 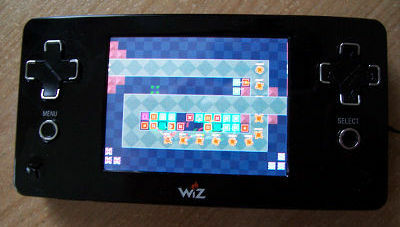 It also comes with an enhanced mode, where the board is peppered with all kinds of fun bonus items that will greatly affect play. 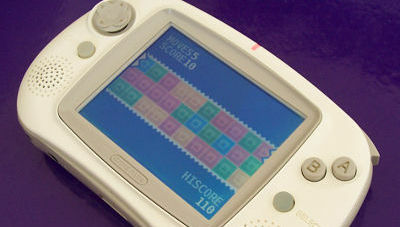 It has a Top-10 hiscore table for each of the two modes. 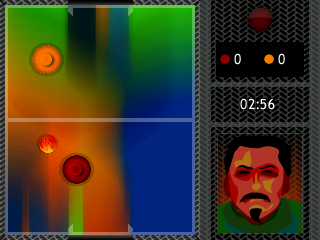 Inspired by Spy by Nick Kouvaris, with background music from Chaozz and Tall B's freeware pack. This was my second GBAX 2007 entry. 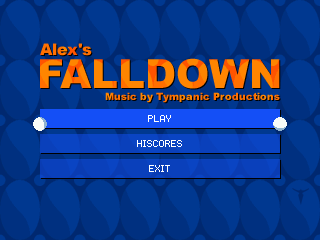 This is a falldown game for the GP2X, with music by TymPanic Productions. 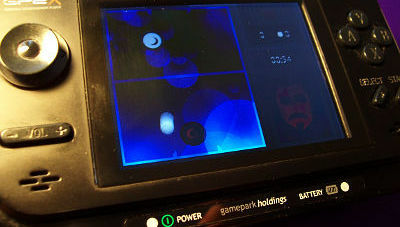 A complete and colourful air hockey game for the GP2X. 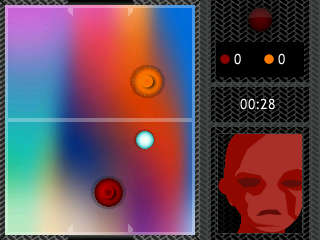 Features include quick and tournament game modes, four AI difficulties, many table, puck, and player designs, smooth performance, and great music tracks by TymPanic Productions. 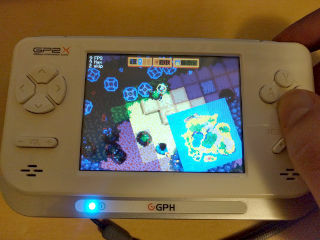 Airplyr placed fourth in the GP2X Community Game Contest 2006. 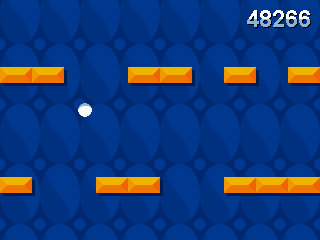 A simple abstract game I made to learn the basics of SDL and GP2X game development. 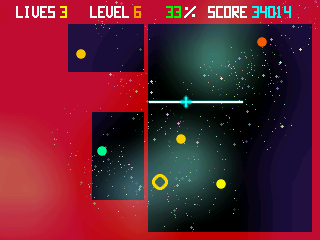 This is my first GP32 game, a vertical shooter prototype written in Fenix. 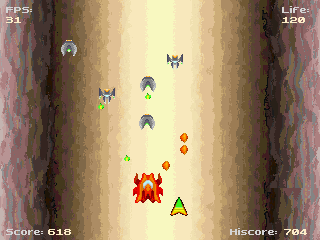 Your ship has to dodge and blast its way through an endless barrage of enemies, and get speed, health, and point bonuses.